Apple devices are amazing: from their innovative OS’s to the smallest high-tech parts, these machines are designed to make the users’ work efficient and enjoyable. Being a proud owner of a Mac device, you know how many unique and handy features it has. With the proper attention and care from your side, Macs can run fast and smooth for years. In this round-up, we present you best tips, which will help to avoid any slowdowns in the work of your device and take its performance to a higher level. Nothing slows down your Apple computer more than its hard drive all clogged up, and space is running to the limits. The key to your Mac’s fast and flawless performance is a regular and thorough clean-up. Old media files like photos and videos, as well as apps you no longer use take a drastic amount of disk space. We suggest sending all really important data to a cloud store (like iCloud or Dropbox) instead of keeping it on your Mac for years. You can get rid of old media clutter manually, going through all Mac’s folders, or get one of the Mac Apple cleaners to help you out. A quick search will offer you tens of applications, all-purpose ones or those designed for disk cleaning only. Speaking of cloud storage services, we should note that freeing up extra disk space on your Mac is not their only advantage. By sending your data to iCloud, you can get all of your Apple devices synced up, thus gaining access to your documents and media anytime. Besides, you can even enable your family members to get access to your files, and easily share photos and videos with them, without the need to send an e-mail with huge attachments. Cloud storages offer plenty of space for a reasonable fee, which makes them even better deal. 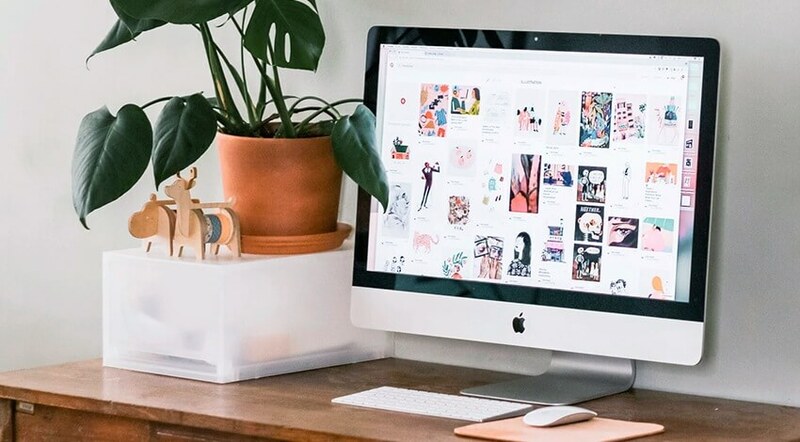 To say just a little more of media clutter on your device, we are convinced that duplicated files bring nothing but extra muddle into the lives of Mac users. Duplicates can be extremely annoying to deal with, and trying to detect and delete them all manually in most cases is nothing but the waste of your time. Once again, specialized apps are here to help you, taking just a couple moments to scan your entire devices and instantly delete all doubled files. You are free to choose any out of a long list of software. We think that Gemini is one of the best offers. Not only software developers create useful cleaning apps for Macs but also do they offer effective all-purpose applications that can instantly improve your Mac’s performance. We suggest you try Alfred which is a small but powerful app, with many great features. Instant search, managing your media, iTunes, and contacts, making macOS personalized and much more will improve your Mac user experience. Timely installing fresh updates on your Mac will help you to avoid slowdowns and bugs in its work. The latest updates for software are released regularly to improve their quality. Major updates to macOS are essential, as they fix bugs and, what is really important, keep your Mac protected against the new kinds of malware, constantly appearing on the web. One of the biggest possible problems with Mac computers is a limited amount of disk space. To improve the situation, you can upgrade your current disk to a larger one. If the speed is your top priority, replace device’s HDD with an SSD. Those users, who use their Macs as a major working tool on a daily basis, can significantly improve their productivity by using some smart keyboard shortcuts. Hitting simple combinations of keys will help you to close and force quit apps instantly, switch between opened tabs, do a quick search, take screenshots and more. Copy –paste items between Apple devices. An extension called Universal Clipboard which comes as a part of macOS Sierra lets a user copy – paste and cut items between their Apple devices, g., between iPhone and Mac. Get your Desktop synced on all your Macs in Sierra OS. Those users whose Desktop stores a lot of folders and files can now sync desktops on all their Mac devices via iCloud. Use Tags to sort your files and projects out. Colorful tags will help you to be more organized and manage all your projects better. See the contents of a folder in Spotlight. Highlight any folder in Spotlight, hit Tab and drag the highlight to the right part of the Spotlight’s window, to see the contents of this folder. We hope that our tips will help you to use your Mac wisely and effectively.